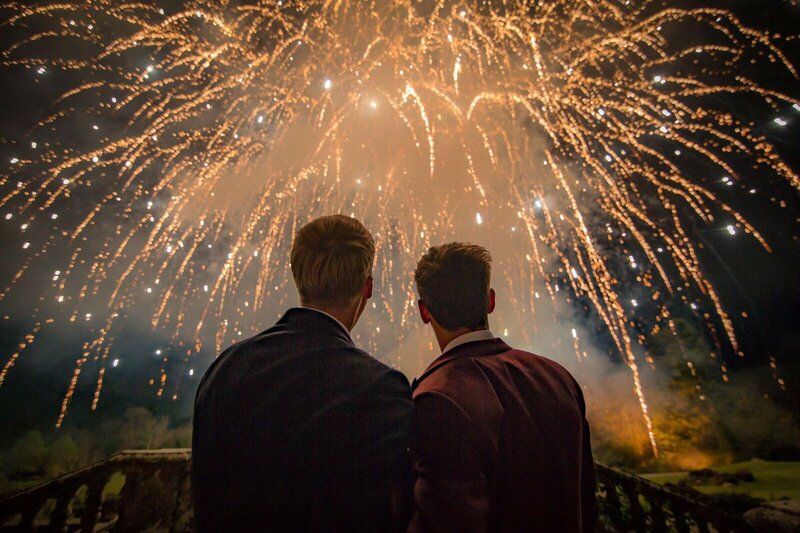 Tom Daley's Devon wedding: "The day I married the love of my life"
Olympic diver Tom Daley and his partner Dustin Lance Black have published photos of their wedding in Devon on Saturday. 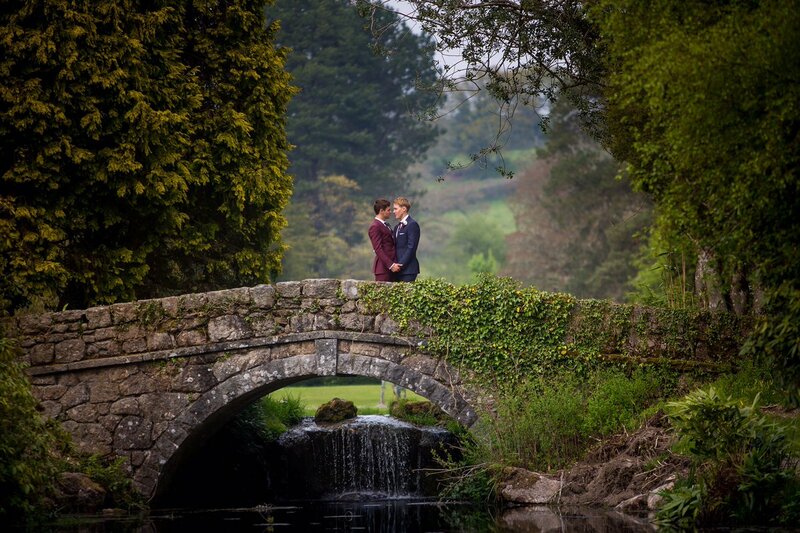 The pair tied the knot at Bovey Castle on Dartmoor in front of 120 guests. Tom, 22, and Lance, 42, made their entrances accompanied by a string quartet. The wedding cake was made by Tom himself.